No matter what workplace we're talking about, productivity is what it's all about – every business owner is always looking to get his or her company to do more. But how can your employees do good work in poor conditions? It's been proven that nicer workplaces lead to better results. You might have thought about redecorating or getting new equipment, but have you considered the state of your AC? If your employees are suffering the effects of a faulty AC, your profits are almost guaranteed to suffer. You want your employees to look forward to going to work every day, not feel as if they're being punished due to poor conditions. What better way to make the work more enjoyable than through a functional AC unit? Most employees won't make a big deal about a broken down AC – nobody wants to get on the boss' bad side, right? As a business owner, it's your responsibility to immediately repair any AC unit that might have gone down, be it summer or winter. Commercial AC repairs are a bit trickier than home ones, although they're still a piece of cake for an established company like Boerne Air Conditioning Experts. 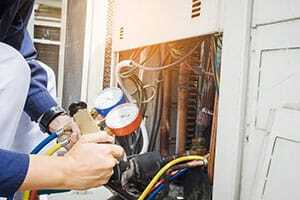 The biggest issue is repairing the AC unit without disturbing the working environment, which is easier said than done – certain types of AC repairs can be quite noisy, making it hard for your colleagues to concentrate on the work. We try to tackle this issue through one of several ways. Our advice is to have us do the repairs when the hours aren't busy or, ideally, when the business is closed – this will allow us to work in peace without having to worry about disturbing people while they're working. Repairing during non-working hours also lets us take our time as opposed to having to rush the procedure. Another way to optimize commercial AC repairs is to schedule them during breaks. Since our technicians work swift, we're able to speed things up in-between the workers' breaks so that we minimize our intrusiveness. Aside from repairing a single AC, we're also willing to work on multiple units inside a larger complex within a single session. As long as our technicians get a heads up, we can set aside an entire day or even several in order to get your entire establishment nice and comfy. A good boss is one that cares for his employees, and fixing the workplace AC will go a long way towards showing that. Furthermore, any customers and business associates you might have come over won't take long to notice the fresh air throughout the facility, giving you a more professional look. 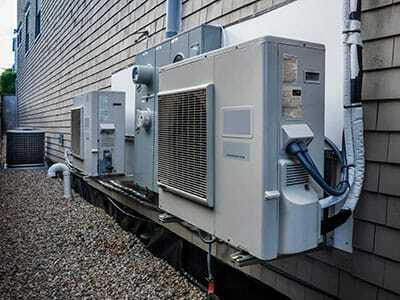 We repair every type of AC regardless of position or elevation, so don't hesitate to give us a call no matter how your business is set up and what your air conditioning needs are. This stands doubly true for businesses that depend on having functional AC year-round – if you own such a business, you can hardly afford to wait before getting your indoor air back in shape.